started visiting a voice teacher, Joe Higgs, and soon started the Wailers in 1962. They started off by covering American pop hits and as they rose to fame, they began incorporating reggae until that was their bread and butter. 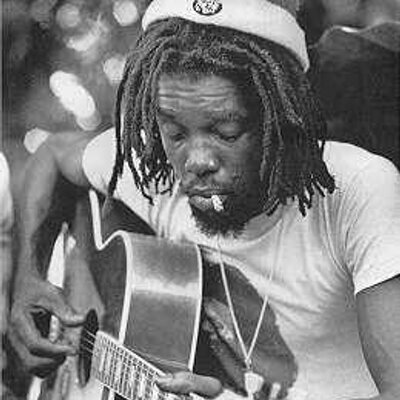 Tosh left the group (so did Wailer) in 1973. In 1976, Tosh released his first solo album, Legalize It. In 1977, he released his sophomore album, Equal Rights. At this point, he had caught the attention of Rolling Stones members Mick Jagger and Keith Richards, who signed him to their label in 1978. Through all the highs of his career, Tosh remained faithful to his homeland of Jamaica and returned as often as he could. Many people wish he hadn’t been in Jamaica on September 11, 1987. At this point, Tosh was living in the Kingston suburb of St. Andrew. At 8:30 that evening, three armed robbers came to empty the pockets of the occupants. Tosh, his common-law wife and five friends were at home. All seven of them refused to give up their money and all seven were shot. Tosh was survived by his son, Andrew Tosh, who followed in his father’s footsteps, becoming a reggae musician himself. To this day, Tosh’s family continues to hold commemoration concerts and celebratory concerts on his birthday.